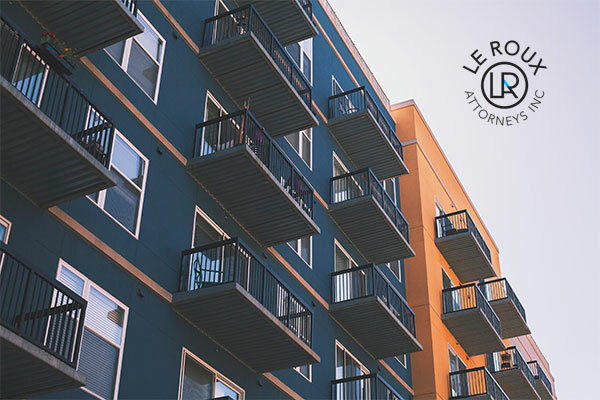 When May A Landlord Cancel A Lease in South Africa - Eviction Lawyers South Africa | Le Roux Attorneys Inc.
Having a stable living arrangement is an important part of building towards your future and while renting may only be temporary it does offer solace and stability to millions of South Africans across the country. Making sure you have a place to come home to is essential psychologically which is why eviction laws are put in place to protect all parties’ interests. So while this may be a sensitive issue there are conditions when a landlord has the right to cancel a lease. If a tenant fails to pay rent, and there is a reason to suspect that the tenant may not pay future rent, the landlord may cancel the lease. However, it is not always a simple case and you will need to get the court on your side as a landlord. Whether or not the court grants the cancellation depends on the wording of the lease. For a cancellation to be justified, the failure to pay must represent a major breach of the lease. For that to be upheld, the lease must contain a forfeiture clause – that is an indication that prompt payment is of major importance. The wording might include “time is of the essence of the contract”, for instance. However, if the landlord regularly accepts the late payment, he or she cannot then use this as a reason for cancellation, because they have given their tacit approval in the past. In this case, the landlord must give the tenant prior notification if he intends to cancel the lease. Bear in mind that the Consumer Protection Act (CPA) requires “residential landlords” to give tenants 20 business days’ notice of the need to vacate a property. According to the CPA, if a tenant is in material breach of the lease, a landlord can’t cancel the lease without giving 20 business days’ notice and can’t cancel the lease if the breach is rectified within those 20 days. The landlord must give the tenant “reasonable” notice of termination of the lease. A calendar month notice would satisfy the 20 business days required by the CPA and would be considered reasonable. Different rules apply when the lease is for public housing. Recent case law established that to terminate a public housing lease agreement on just one month’s notice would be oppressive and unconstitutional.